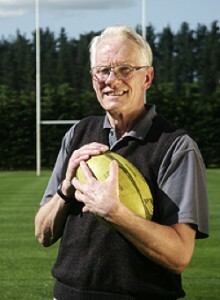 Bill Greenwood was born in Lancashire but has lived in Wanganui for more than 30 years; He completed a Master’s degree after retiring, which focused on the emergence of rugby league in Wanganui and its surrounding provinces. 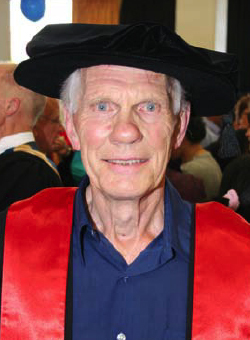 For his PhD thesis Dr Greenwood widened his research to cover the entire country and found rugby league faced major hurdles in the early days. Rugby league began here in 1908 and faced opposition from the more established rugby union from the beginning. ‘The Famous Northern Union Game: the Rise and Fall of Rugby League in Wanganui, 1910 –1915.’ Bill Greenwood and James Watson. ‘Sporting Traditions’, vol. 18, Nov. 2001. ‘1908: The Year Rugby League Came to New Zealand’, in ‘Sport in History’, vol. 12 n0 3, Sept. 2007. ‘The Famous Northern Game’: The Introduction of Rugby League to Wanganui, 1910 – 1915’. Research paper for Graduate Diploma in Arts (History), Massey University 2000. ‘Trying Rugby League. Early Attempts to Establish Rugby’s other code to the Central Provinces of New Zealand, 1908–1915, Master of Arts degree (History) thesis, Massey University, 2002. ‘Class, Conflict, and the Clash of Codes. The Introduction of Rugby League to New Zealand, 1908–1920. PhD History thesis, Massey University, 2008.